What’s the second biggest social network? Nope, it’s not Twitter – not any more. Since December 2014, the number two has been Instagram, with a whopping 300 million active monthly users worldwide. For a number of years now, many companies have been focussing their social media efforts on Facebook and Twitter. But that means some brands are using the wrong networks. Some of them should be on Instagram. Instagram is a social network based on taking and sharing photographs. Much like Twitter, you can follow, like and share other users’ content. New images from your favourite Instagramers appear in a feed. Hashtags act as keywords to make your images searchable, and you can interact with other users through mentions and comments. The network is primarily for mobile devices – to sign up, you need to download the app from the Apple or Android app stores. However, you can also view Instagram accounts on the web from your PC or laptop. Instagram has a vintage flavour thanks to its square photo format, emphasis on spontaneous, low-res images, and built-in filters that let you alter the colours and contrast of your pics. However, there’s nothing stopping you from uploading high-quality images from a digital SLR, and many of the most popular accounts do just that. Just take a look at this shot of the Northern Lights from Welsh photographer Finn Beales. Instagram has only been around since October 2010, but it’s grown at an extraordinary rate, reaching 100 million active users by April 2012 and over 300 million now. Even if you’ve never used it, there’s a good chance you’ve at least heard of it. Barack Obama mentioned the platform recently in his State of the Union Address – telling astronaut Scott Kelly to ‘Instagram’ his upcoming trip to space. When a social network becomes a verb and is used in a speech by the US president, it’s probably time to take notice. What you need to do to get the most out of Instagram depends on the nature of your business, but posting new pictures regularly is a must. Mostly these will be your own, but it’s also possible to repost other people’s images. You can post videos too – perfect if you already have marketing videos or want to shoot some behind-the-scenes footage to share with fans. Brands with visually appealing products are the most obvious users of Instagram – from fashion houses and artists, to restaurants and tech companies. Show off shots of your products and you could find people walking into your store clutching their phone, looking for something in particular. Tracy Yaverbaun, Instagram’s Head of Brand Development, certainly thinks so – describing the social network as “the new shop window”. The app is also a great way to share in-store displays or snaps of happy customers (with their permission, of course). 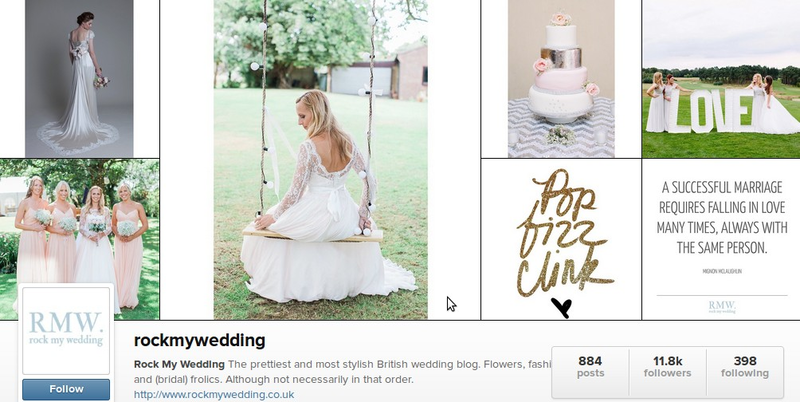 British Bridal brand Rock my Wedding gets things just right, with an Instagram account full of inspirational photos, flowers, clothes and locations. Social media is a little trickier in the world of B2B. As with all social networks, you should only be there if your audience are – otherwise you’re just talking to yourself. Having said that, if your audience are using Instagram, it can be a great asset. For serious businesses, Instagram is a way to add some personality to your brand and show potential clients you’re real people. Shots of staff, your premises and fun around the office can go down well. Take photos at events, exhibitions or conferences, or alternatively, create square infographics or visual content to share. #1 We wouldn’t usually recommend linking up your various social media profiles, but if you don’t have much time, automatically sharing Instagram content elsewhere can be very effective. 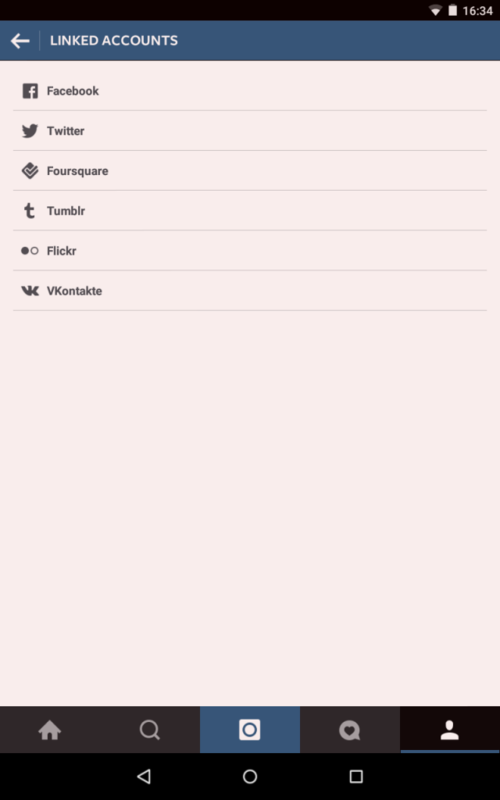 Set up your profile to post on Facebook, Twitter, Foursquare, Tumblr, Flickr or Russian social network VK. #2 Make it unique. The most successful accounts have an immediately recognisable style. Take Murad Osmann’s #followmeto project for example – every image shows his fiancé leading him towards a stunning geographic landmark. He’s essentially created an internet meme, with other couples inspired to take their own photos. Run competitions. Sweepstakes are a great way to increase engagement. Encourage users to enter by posting a picture with a certain hashtag. You can then repost these photos to your account. Be social. Instagram is a social network, so explore other people’s content, liking, sharing and commenting as you go. Make use of captions. There’s no limit to how much you can write, so use this space to type out a recipe or instructions, include a quote, describe a product or simply say something funny. If you’re not sure what social networks your company should be using, get in touch today. We’ll help you choose platforms and strategies to give you maximum brand exposure.